It seems that any period of human history there are records of people having a drink and taking a night off. In recent times we have even learned that the builders of the Egyptian pyramids were drinking beer, and not suffering the brutal life of slavery that we had initially thought. In fact, if the ancient Egyptians were drinking alcohol, that means that ancient civilizations throughout the world had already been aware of this substance, however possible. 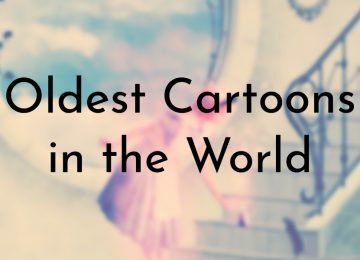 They were the most influential culture in the world at the time, after all. 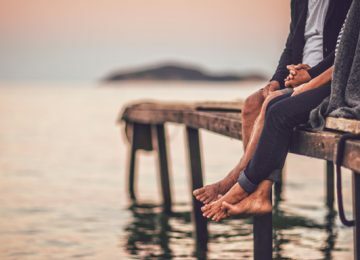 Although we may not be able to remember the oldest pub that humans have ever created, the ones that remain today offer us a glimpse back into humanity’s deep connection with alcohol and getting drunk. 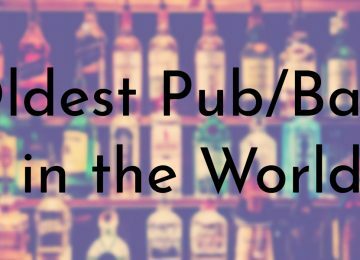 Here are the oldest pubs in the world that date back throughout many different periods of history. Most are European, many are Irish, but perhaps drinking stereotypes are there for a reason (at least this time). 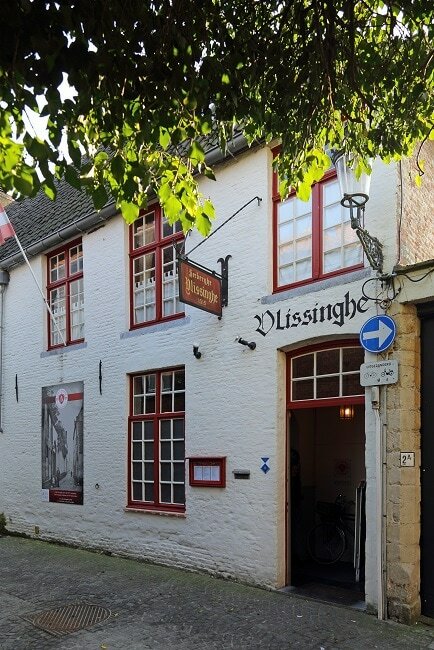 This pub and restaurant located in Belgium dates back further than most pubs on the European continent and is the oldest in the country of Belgium. After recently celebrating its 500-year anniversary, this place remains a popular place for both tourists and locals alike. This place is so important to the culture of Belgium that it is now protected as a monument, meaning that the business will likely stand the test of time. If the place does ever need to go out of business it will likely still remain in physical form. Recently celebrated 500 years in business. Is a protected historical “monument” in the country. Also serves coffee and food. 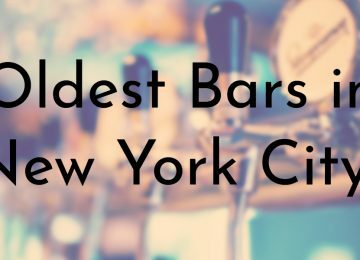 Although this isn’t even close to being the oldest pub in the world, Al Brindisi can say that they are the oldest wine bar in the world. 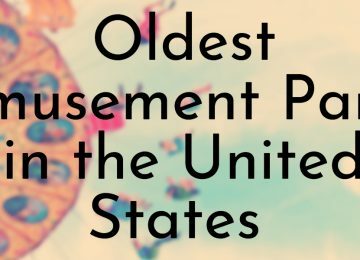 To put this in perspective, two historical legends Galileo and Copernicus both could be found here while they were alive. The place is still open serving both wine and meals to tourists and locals who want to dive into the cultural history of Italy. 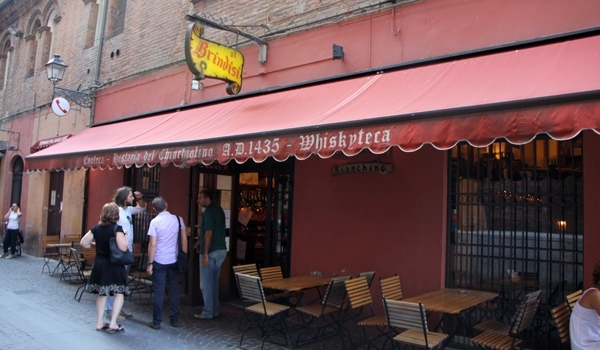 Since this place dates back to the Renaissance, many people can take a journey back in time while having a drink. Oldest wine bar in the world. Galileo was rumored to frequent this wine bar. Not too many pubs have seen the amount of history that this place has. After being bombed by Allied bombers in WWII, this place had to be demolished and reconstructed so that it could remain in business. 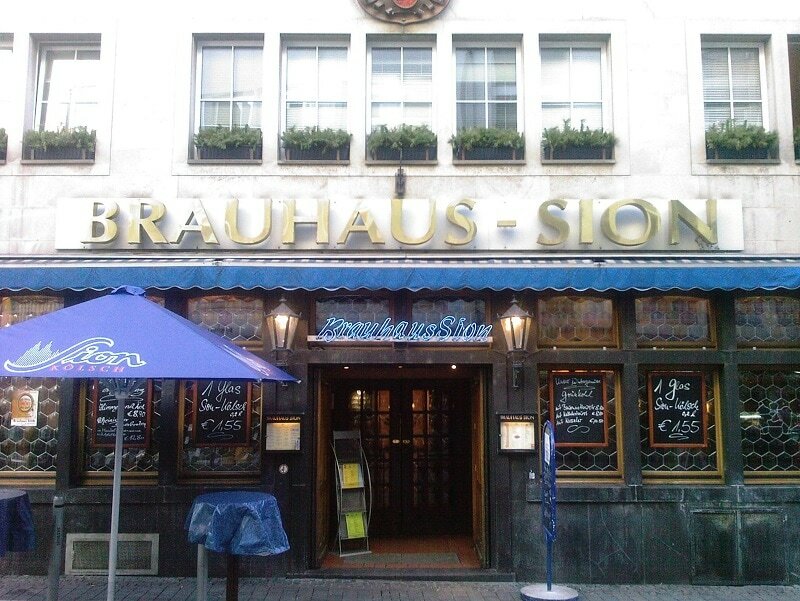 Despite this major setback, it remains the oldest pub in Germany. It has their own brewhouse and also serves food to hungry tourists and locals looking for a comfortable place to relax and unwind. Was bombed during WWII and subsequently rebuilt. 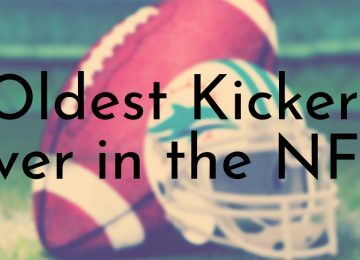 Has their own brewery, bar, and also serves food. Although it technically wasn’t established until 1324, as their website illustrates, this pub has been around since 1263. After being founded by Alice de Kyteler, the owner was soon condemned as witchcraft and condemned to death. However, she immediately fled the country before being executed. 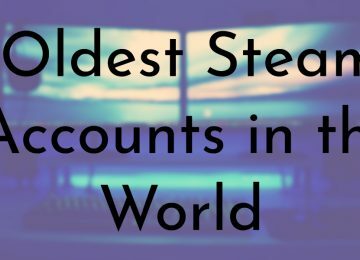 Although Kyteler is no longer around to defend herself, the legacy of her pub remains in clear sight for all of the world to see. Maybe she truly was a witch, or maybe she was falsely confused like many during the Salem Witch Trials. 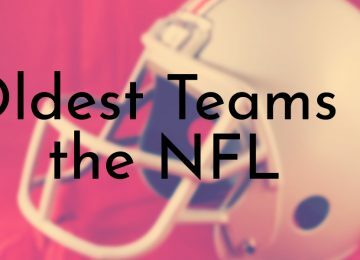 Nobody is around to let us know for sure. However, all that remains of her in history is this bar which has become a tourist icon and one of the oldest pubs in existence. Underwent a major refurbishment during the 1960s. The founder was the first person condemned for witchcraft. When you have one of the oldest pubs in recorded history, you are bound to be a part of history. For this pub, this was the site that James Stanley, the Earl of Derby was executed. 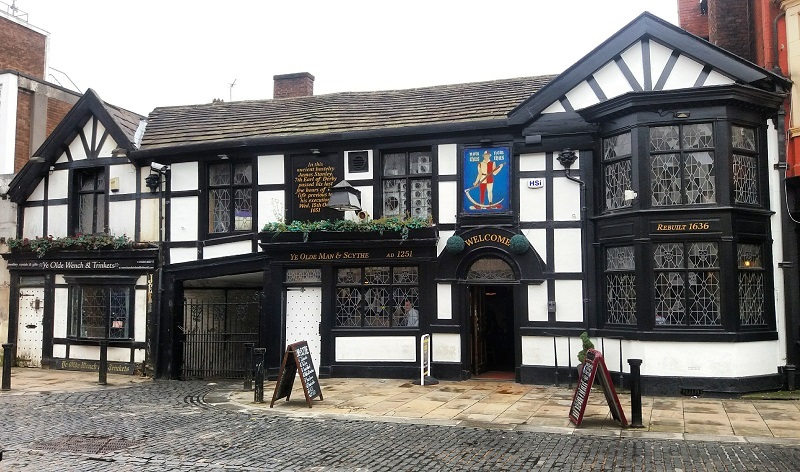 Since it was owned by his family at the time, he was in this pub right before he was beheaded for his part in the Bolton Massacre, when 1600 people lost their lives. Still today, a chair is marked off as the location where James Stanley sat just moments before being taken outside to be executed. The exact founding date has been lost in history. One of the oldest public houses in the UK. This place is so old that the man who stole from the rich and gave to the poor apparently once got drunk here. Robin Hood, the famed (and often fictionalized) character from history apparently made this pub his sanctuary for a fun night. 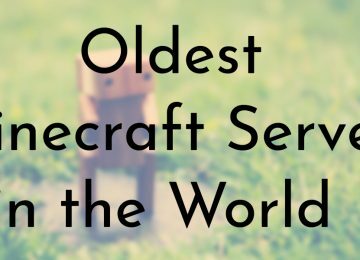 Although this fact can hardly be confirmed, sometimes the best tales from history can only be remembered by oral tradition. 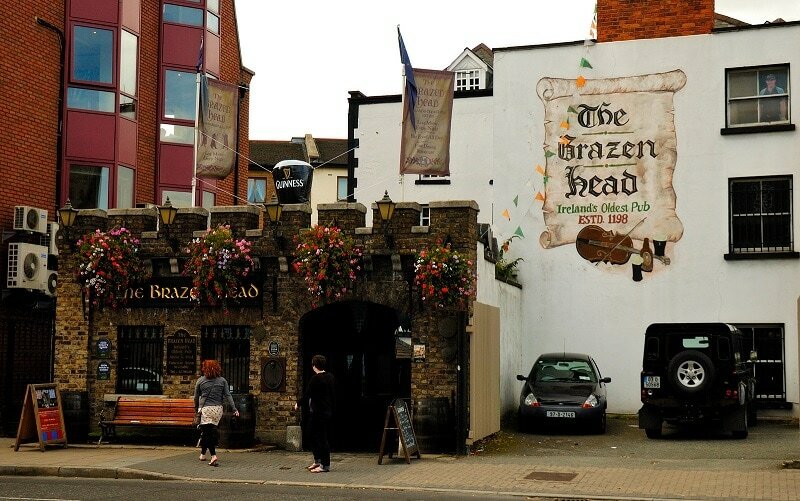 However, this pub is commonly regarded as Ireland’s oldest pub. Robin Hood allegedly drank here. Some claim this place isn’t as old as advertised. Many famous clients have once drunk here, including James Joyce, Brendan Behan, Jonathan Swift, Robert Emmet, Wolfe Tone, Daniel O’Connell, and Michael Collins, Van Morrison, Garth Brooks, and much more. 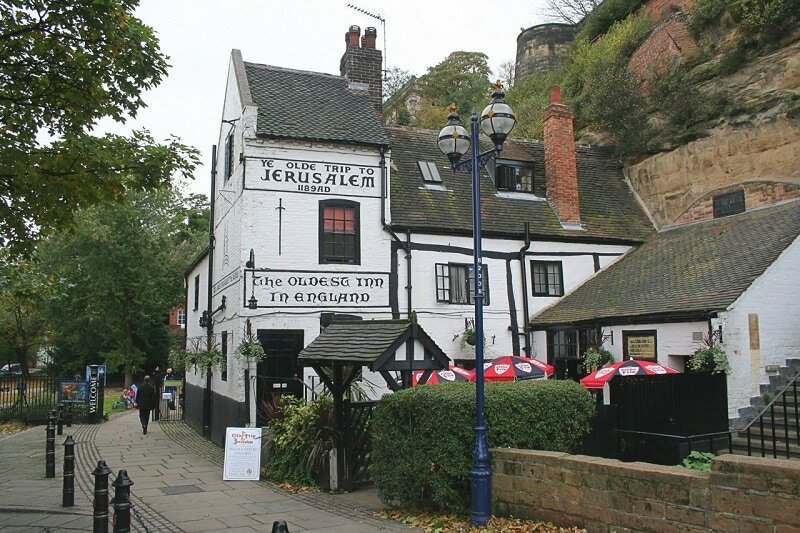 The name of this pub might be confusing to the common tourist today, but when you consider that this pub was around for the Third Crusade you might start to receive some clarity as to where the name comes from. The legend has it that Crusaders would stop here on their way to liberate the Holy Land, which of course would later be unsuccessful. That means that many people made this one of their last drinking experiences before dying in battle. The exact date of this pub’s founding is questionable. Allegedly founded right when the Third Crusade began. It is rare that you can find a pub/restaurant/hotel that has been visited by a wide array of people throughout its existence. Since the history of this pub dates back to around 1150 CE, it has been visited by a diverse group of people. 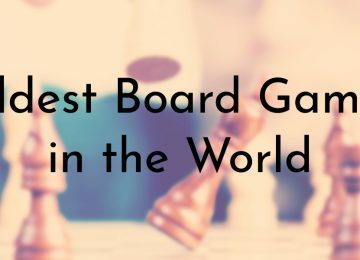 This includes names like Elvis Presley, Napoleon Bonaparte, Charles IV, and Gustavus Adolphus, for example. This place has also had several landlords sentenced to death for witchcraft. 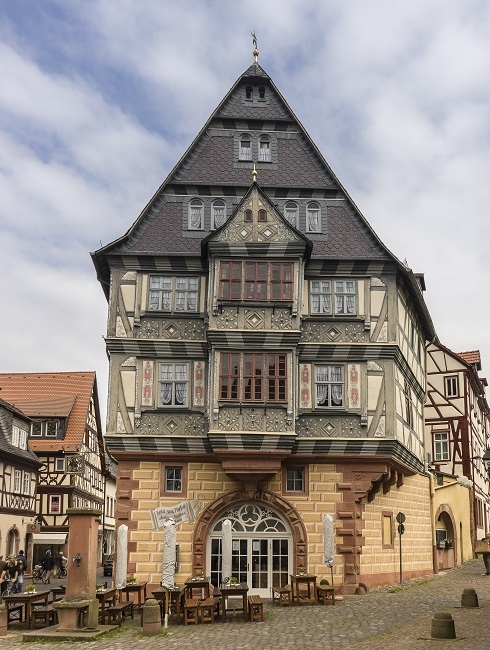 Serves as a pub, restaurant, and hotel. Has been visited by several Royal family members throughout the years, including two Holy Roman Emperors and Napoleon Bonaparte. Like other pubs this old, the exact founding date is questionable/debated. 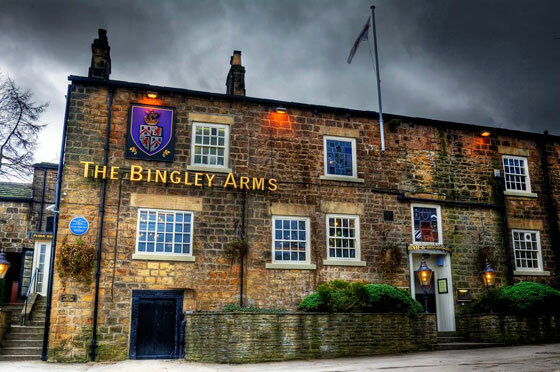 The Bingley Arms Pub is the oldest bar and restaurant that is located on the modern-day British Isles, dating all the way back to when aggressive factions of Vikings were still invading the modern day United Kingdom. Today, the food at the restaurant still receives awards for its products. Dating all the way back to 953 CE, some people even think that this pub has been around since 905 CE. 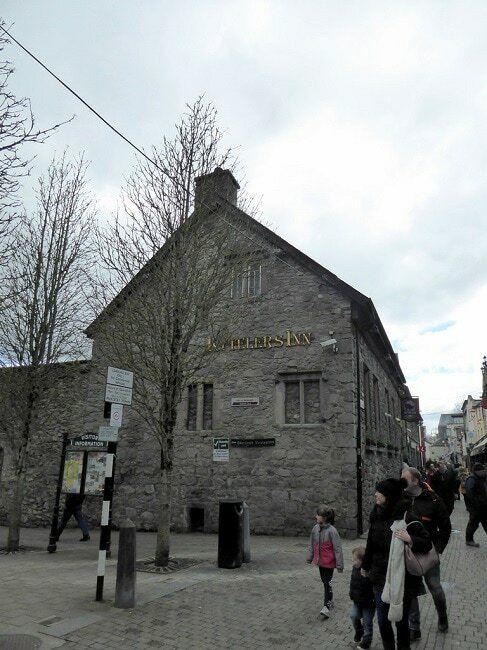 This means that Crusaders that survived the historic conflict could have once returned to this pub to have a drink and meal to tell war stories. The oldest pub located in the British Isles. Founded before England had its first King. Vikings would have been able to come here. Features alcohol that comes from all over the world. 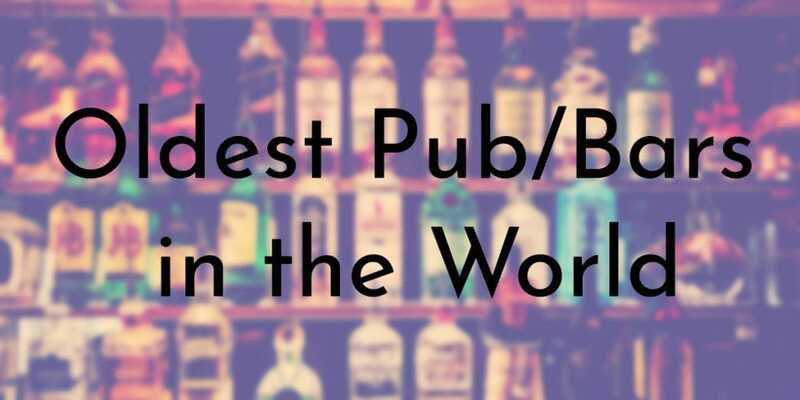 If you want to have a drink in what could be the oldest pub in the world, Sean’s Bar (or known simply as Sean’s) should be at the top of your list. Located in Ireland, this pub has been serving alcohol and playing dancehall music longer than any other known establishment. 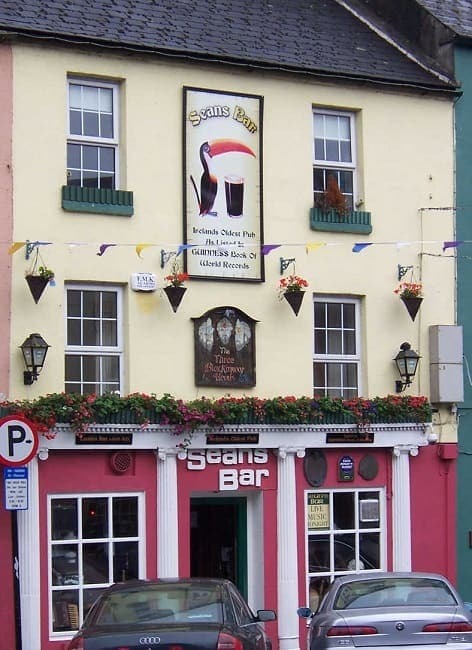 The Guinness Book of World records has listed Sean’s Bar as the oldest pub in Europe using archeological evidence. It is so old that the popular historical site Athlone Castle, which dates back to 1129 CE, was built hundreds of years afterward. Holds precise records of all of the pub’s historical owners. Could very well be the oldest standing pub in the world.